I made a decision, but you’ve figured that out by now. 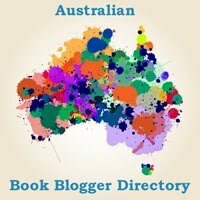 Yes, I’m going to do another Alphabet by Author but this one is all Australian, I may even narrow it down and do females first but you’ll find out in due course. Today I’m looking at Debra Adelaide. She’s still a young chick being a contemporary of Kathy Lette and the books she’s written have interesting titles. 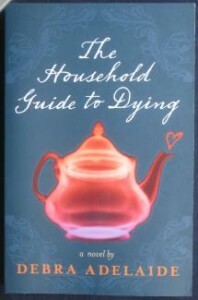 Let’s have a glance at The Household Guide to Dying. Probably not what most people would expect to see on their shelves but maybe we need to change our expectations. On my shelf I have a book titled The Jewish Way to Death and Mourning which is a guide to the mourning procedures and while I haven’t read it yet it is one of those things I should read because we’re totally unprepared for death in the modern age. Adelaide’s book while humorous should help prepare people for what to expect and how to mourn. It’s one of my greatest bugbears that we expect to live forever and we’re not taught how to mourn anymore. Adelaide currently works in Sydney and if I ever move there and end up doing a postgraduate in creative writing then there’s a good chance she could be my supervisor.